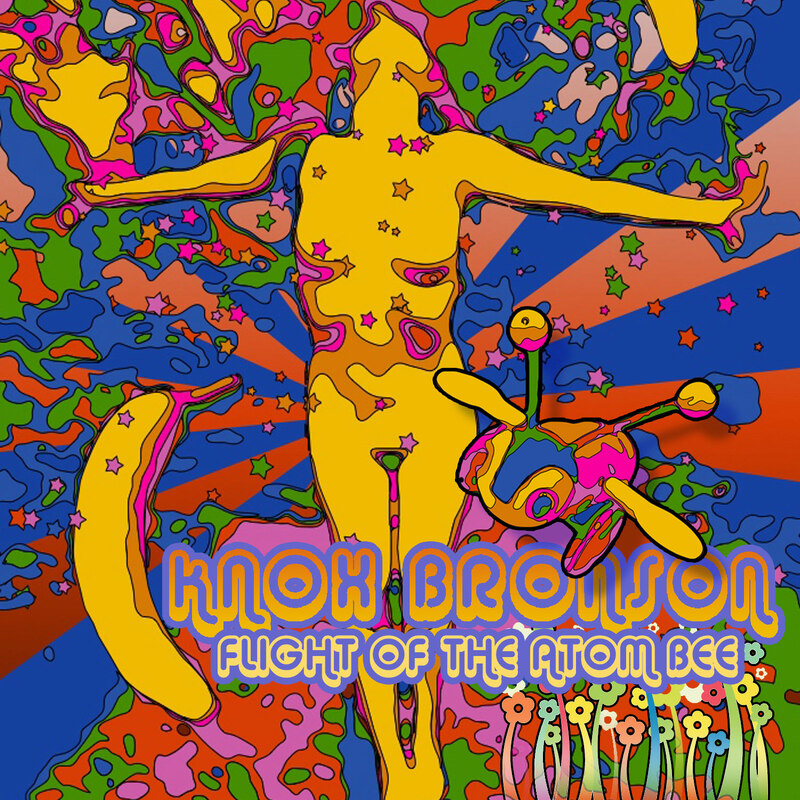 My first cd, Flight of the Atom Bee, was a collection of instrumental pieces, strange and beautiful, featuring a lot of early analogue synthesizer technology along with an Emu SP-12 drum machine, a Jupiter 8x-P digital/analogue hybrid, and all sorts of outboard processors. To say I didn’t know what I was doing as I plunged back into modern music production is an understatement. But I heard music in my head I had to get out. I still love the album. Inspired by the weird fiction of Cordwainer Smith, the music of Kraftwerk, Walter Carlos, David Bowie, The Beatles, Claude Debussy, Jimi Hendrix, and Brian Eno, Flight of the Atom Bee remains a timeless collection of classic electronica. This box was the core of the Bee. The basic buzz came from one of the three old oscillators in the upper-left panel. A simple saw-tooth, modulated slightly to round-out the waveform with a rising and falling control voltage. There was also, the obvious rising and falling pitch generated by the Dual-Slope Generator over on the right. The DSG also triggered the Stepped-Function module to send out another voltage to raise and lower the over-all pitch of the buzzing bee, in steps, of course. The distorted wing-stress sounds were made with the Triple-Wave Shaper and mixed in with VC Gates. The Whoosh was filtered white-noise and the phase-shifter, which Greg Jones pulled out of a Mutron guitar pedal and kludged into the panel on the lower right. Also gated. These three elements were mixed and sent out in a mono feed to another Roland Spaced Echo. Timing pulses all generated by the Roland TR-606, which can be heard on the song. The only other sound on the song was the chord, which was made by a Roland JX-8P with the keys taped down and fed into the mixing board. The whole Bee patch ran non-stop for over two months in the Love Shack studio. I couldn’t turn the synths off because I was afraid that if any components cooled, it would affect tone, or pitch, or timbre. Finally, hearing the Fear in my voice, mr808flew down from Portland and helped me record the song. You can buy the cd here on Bandcamp.